This was amazing. I took a lot of advise from others. I used a chuck roast, Campbell’s Consommé, a can of Campbell’s French Onion Soup, added garlic powder, onion powder, a touch of worcestershire, and only half a can of beer. 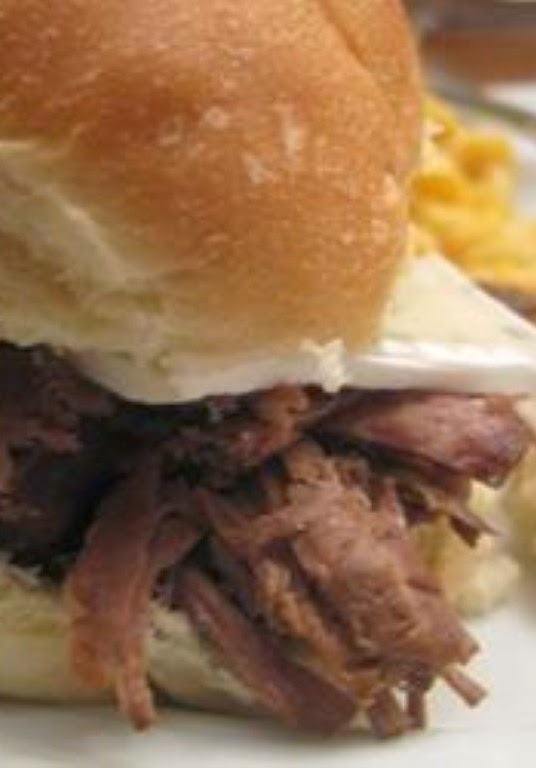 Trim excess fat from the rump roast, and place in a slow cooker. Add the beef broth, onion soup and beer. Cook on Low setting for 7 hours. Split French rolls, and spread with butter. Bake 10 minutes, or until heated through. Slice the meat on the diagonal, and place on the rolls. Serve the sauce for dipping.